Welcome to our information on Making an Application for NHS care fees. If it is a process you are about to embark on – you may be more than a little stressed and worried – have a look around the information which we have tried to lay out as helpfully as possible, but if you’re still a little confused, just give us a call. Don’t forget to download a copy of our brochure or give us a call or for those of you that prefer a hard copy – just give us a call with your address and we’ll send one out. Paying for care can be incredibly expensive. As you may have read elsewhere on the Seatons Care Fees pages, if you have assets worth more than £23,250 in England you will be classed as ‘self-funding’ and be responsible for the full cost of your care. These can be substantial – once you have fallen below this threshold, you will still have to contribute to the cost of your care until you fall below £14,250.00 – and possibly even below this threshold if you have income. A report by healthcare specialists Laing and Buisson (2013/14) showed that depending on where you live, care home costs can average in the region of £29,270 per year for a residential care home which rises to £39,300 if nursing is required. BUT YOU MAY BE ABLE TO AVOID PAYMENT IF YOU QUALIFY FOR NHS CONTINUING HEALTHCARE FUNDING! NHS Continuing Health Care funding is an award of funding for an Applicant’s full care needs. No ‘top ups’ to the funding can be charged and the funding applies to care home fees or the costs of carers where the Applicant remains in their own home. The application process is not straight forward and in many cases the assessment process is flawed and decisions not to fund are unjust and inappropriately arrived at. We are uniquely placed amongst Solicitors firms in that we retain medics on staff to assist in the application process. 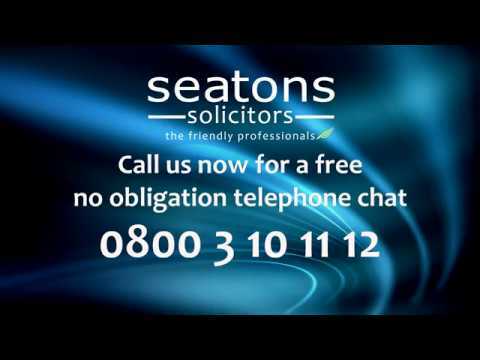 We are NOT a claims management firm, we are a Solicitor’s Practice of some 30 years standing. To be frank – we’re really easy to talk to – many of us have fought for funding for our own relatives and understand matters from your point of view. We take our strapline of “the friendly professionals” very seriously and it informs all our dealings with our clients.